Background: Metaplastic carcinoma of the breast (MCB) is a rare histological subtype of breast carcinoma containing glandular and nonglandular components with mixed epithelial and mesenchymal differentiations. Aim of the Study: The study aimed to report clinical, radiological and pathological profiles, treatment and outcome of patients diagnosed with MCB from a tertiary care institute along with literature review. Materials and Methods: Diagnosed cases of MCB were obtained from the record over a period of January 2010 to December 2017, and data were recorded in a structured pro forma. Results: A total of 9 (0.9%) cases of MCB were identified out of 1031 breast cancer patients with the median age of presentation of 53 years. The palpable lump was the most common presentation (77.78%). The mean tumor size was 4.9 cm in greatest dimension. Sonographically, most of the lesions were solid (44.44%) followed by cystic (33.33%). Mammographically, microcalcifications were absent in eight cases. Histologically, 55.56% of cases were purely epithelial subtype (3: pure squamous and 2: adenosquamous) and 4 (44.44%) cases were mixed epithelial and mesenchymal subtypes (3: carcinosarcoma and 1: invasive lobular carcinoma with sarcomatous component and osseous metaplasia). All the cases were having triple-negative receptor status. Modified radical mastectomy (MRM) was performed in all cases and 33.33% of cases had axillary node positive. About 77.88% and 88.89% of cases received adjuvant chemotherapy and adjuvant radiotherapy, respectively. At median follow-up of 27 months, local recurrence and distant metastases were seen in 1 and 3 cases, respectively. At present, 33.33%, 22.22%, and 44.45% of patients were died, alive, and lost for follow-up, respectively. Conclusion: MCB is a rare histologic subtype of breast cancer with larger tumor size at presentation and MRM is the preferred surgical procedure over breast conservation surgery. Long-term and regular follow-up is necessary to know the outcome. Aims: The aim of the study was to analyze the patterns of lymph node metastasis in early cervical cancer cases operated and to measure the metastatic burden in common iliac nodes and subsequently assess the need for its dissection. Materials and Methods: The study included all the cases of early carcinoma of cervix (Stage IA to IIA) that were operated in our institute. The cases with positive (metastatic) lymph nodes were isolated incorporating the data in tabular form and the patterns of lymph node metastasis analyzed with special reference to common iliac node involvement. Results: A total of 250 patients were operated in our study cohort and 50 cases (20%) had positive lymph node metastasis. External iliac nodes (58%) were most commonly involved, whereas 20% of cases had common iliac nodal involvement and isolated common iliac nodal involvement was seen only in 8% of these cases. Among all the lymph node positive cases, 74% had two or more of the three intermediate-risk factors including deep stromal invasion, lymphovascular space invasion positivity, or large-sized lesion (>4 cm). All the isolated common iliac lymph node positive cases had either positive parametrium or at least two intermediate-risk factors. Conclusion: Isolated common iliac nodal involvement being very low (8%), and this isolated involvement having been demonstrated only in cases with other risk factors; the role of common iliac lymph node dissection in early-stage cancer cervix becomes questionable. Background: Inflammatory myofibroblastic tumor (IMT) is a rare entity and has wide anatomical sites of origin. Because of overlapping clinical and radiological features, histopathology study followed by immunohistochemistry (IHC) analysis is necessary for confirmation of the diagnosis. Aim of the Study: This study aimed to present the demographic, histopathological, and IHC analysis of patients diagnosed with extrapulmonary IMT. Materials and Methods: Patients diagnosed with extrapulmonary IMT were analyzed from January 2017 to July 2018. Results: A total of six cases were included in our series, with the mean age of presentation being 37 years. Male-to-female ratio was 1:2. The primary site of origin was distributed as follows: two cases of face and neck (one mandible and one naso-orbital), three cases of abdominal location (one spleen, one periaortic node, and one paraaortic node), and one case of cervix. There was no local invasion or metastasis found. Microscopically, all the cases revealed a common pattern of finding of the presence of intersecting fascicles of spindle cells with intervening collagenous to myxoid matrix along with infiltration of plasma cells and aggregates of lymphocytes. There were no atypical cells or mitosis in all the cases. All six cases were smooth muscle actin and vimentin positive and S100, desmin, and cytokeratin negative on IHC study. All the cases were anaplastic lymphoma kinase (ALK) negative, except one case with cervical primary where it was positive for ALK-1. Conclusion: Extrapulmonary IMT is a rare entity with diagnosis by exclusion on histopathological examination, and IHC should be done for confirmation of the diagnosis as well as ALK expression status. Cancer registration is pivotal for cancer epidemiology and for planning and implementation of cancer policy and research. Morbidity and mortality burden of cancer in India is one of the highest in the world. India has a network of cancer registry distributed across the country, a process which began in the 1960s. 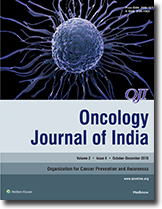 The cancer registration in India has expanded including many new hospital-based and population-based cancer registries. Some new initiatives such as cancer atlas and online software programmes have been started for streamlining the process. However representativeness, urban-centric data, timeliness, and quality of cancer data are some of the problems still troubling the process of cancer registration in India. In this context, we should look for a unified systemic framework using newer information and management systems for capturing a complete and clear picture of cancer in India. 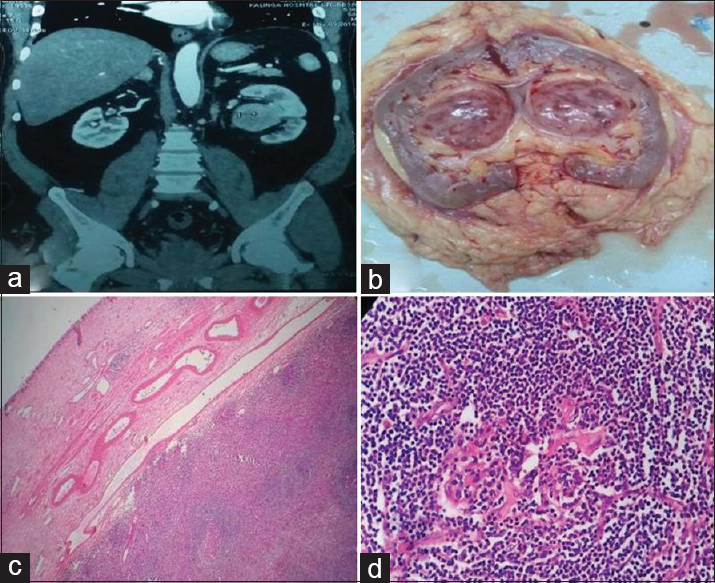 Acinic cell carcinoma (ACC) is an unusual salivary gland neoplasm with unpredictable behavior. Papillary cystic variant of ACC (PCV-ACC) is even rarer and commonly occurs in the parotid. It has high local recurrence rate and poorer prognosis compared to classic type of ACC. 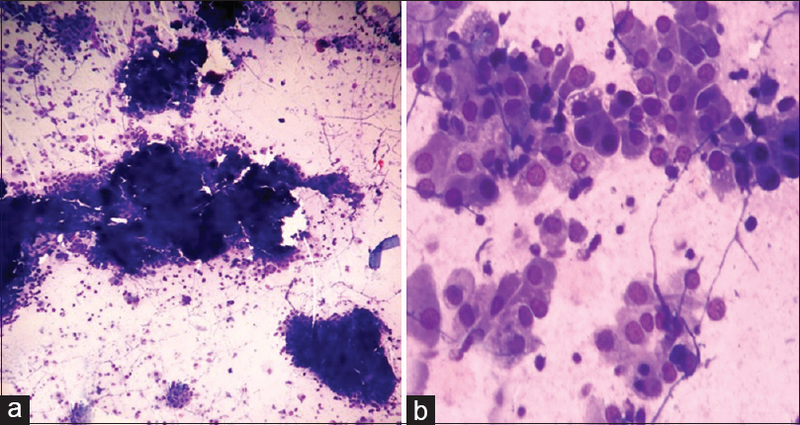 Majority of cases occur in younger age group and exhibit diagnostic difficulty on cytology. Its diagnosis is based on histopathological examination. We report a case of PCV-ACC of the right parotid gland in a 15-year-old female which was misdiagnosed as a benign lesion on cytology emphasizing the importance of histopathological examination in parotid masses. Superficial parotidectomy followed by total parotidectomy was performed in the present case, and the case is under regular follow-up basis for the last 8 months without any disease. Solid pseudopapillary tumor (SPT) is a rare neoplasm of the pancreas with malignant potential, predominantly affecting young females. It usually consists of mixed solid and cystic components, and the presence of pure solid component is rarer. It may be locally aggressive, and surgical resection is the treatment of choice with an excellent prognosis. We report a case of SPT of head and body of the pancreas with pure solid component in a 21-year-old female. The patient presented with a chief complaint of severe abdominal pain and vomiting with a palpable mass for 2 years without any past history of abdominal trauma. Contrast-enhanced computed tomography scan showed a well-defined, homogeneously enhancing solid tumor arising from the head and body of the pancreas. With these findings, both benign and low-grade malignant neoplasm of pancreas could be the possible differential diagnoses. Pancreaticoduodenectomy was performed, and the patient was under regular follow-up for the last 28 months without any evidence of the disease. Castleman disease (CD) represents a morphologically distinct variety of benign proliferation of lymphoid tissue. Renal hilum involvement is rare and may be confused with renal malignancy or granulomatous diseases. 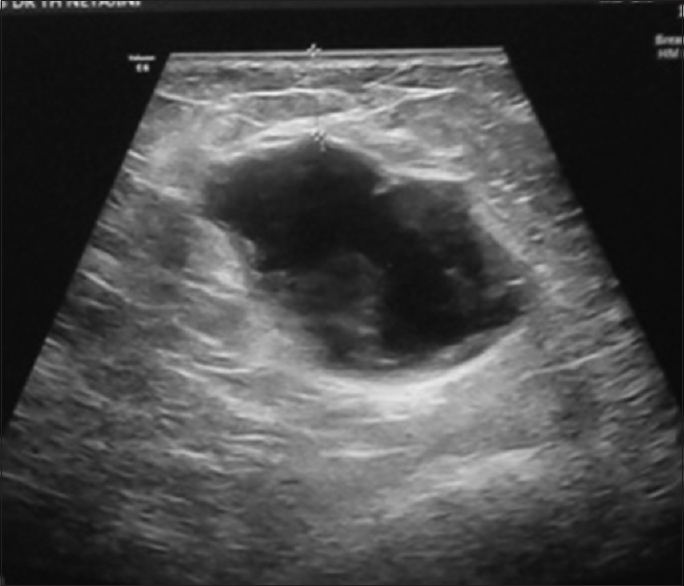 Here, we report a rare case of unicentric CD of renal hilum. 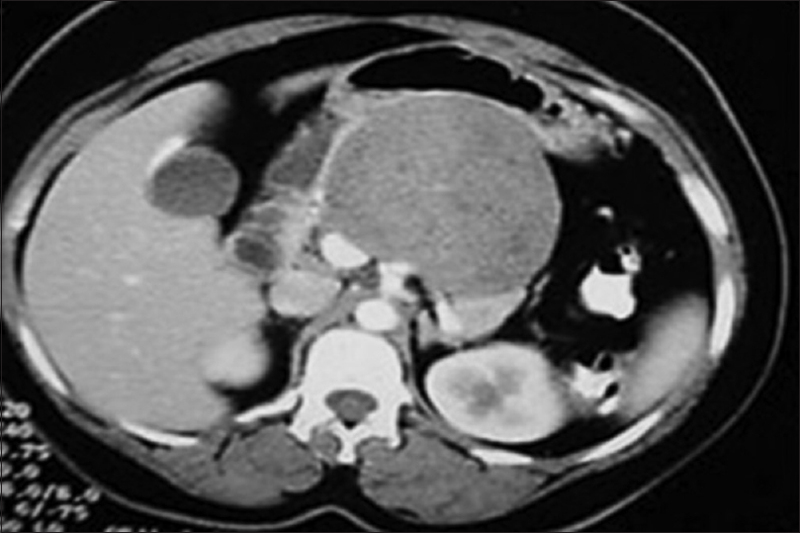 A 56-year-old male patient presented with flank pain and voiding symptoms. Contrast-enhanced computed tomography scan showed a left renal hilar tumor mimicking a renal malignancy which led to nephrectomy. Our case is the first report of the unicentric hyaline vascular type of CD of the renal hilum reported from India. Awareness of such cases is important for radiologists and surgeons to prevent the misdiagnosis of a renal malignant tumor and to avoid nephrectomy.